I have a love of many things, and each one holds a special place in my heart. 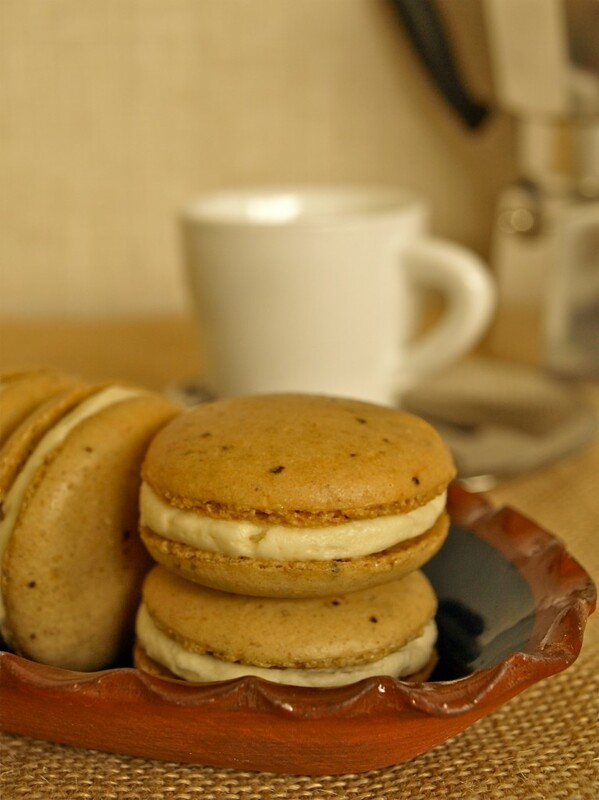 French macarons have recently become one of those things. They are tricky little monkeys when it comes to making them, but boy, are they a satisfying bake?! They are essentially gluten free as they contain only ground nuts, sugar and egg white and the number of flavour and colour combinations can only be limited by your imagination! A good friend recently asked if I would like to make an edible gift to add to the ladies’ goody bags for a school fundraising event. This school celebrates 150 years of education in 2014. I was very excited – mainly in the many options available to me for getting their logo on the (much deliberated) baked treat. Would I make cupcakes, mini loaf cakes, or perhaps chocolate truffles? It needed to be something I could make ahead of time (there were around 130 ladies attending) and as this was going to be an adult event, I wanted to incorporate alcohol into the treat! I also wanted to add an ‘edible’ logo – this eventually came in the form of edible icing onto which I printed the logo of the parents’ association who are the ‘fundraising arm’ of the school, and who have organised the event. Having thought about what to make, I decided on macarons…they are delicious and stylish, I could make them any flavour I liked and as they are only a couple of bites, the perfect petit fours. Knowing that the local Nestle factory had donated some Quality Street chocolates to go in the bags, too, I chose to steer clear of more chocolate, and make Irish Coffee flavoured macarons. The delicate crunch of the coffee flavoured shell, giving way to the nutty almond meringue, finishing with the smooth creaminess of a whiskey and coffee liqueur laced buttercream. My hopes are that they are the perfect after-dinner treat for what promises to be a fabulous evening! 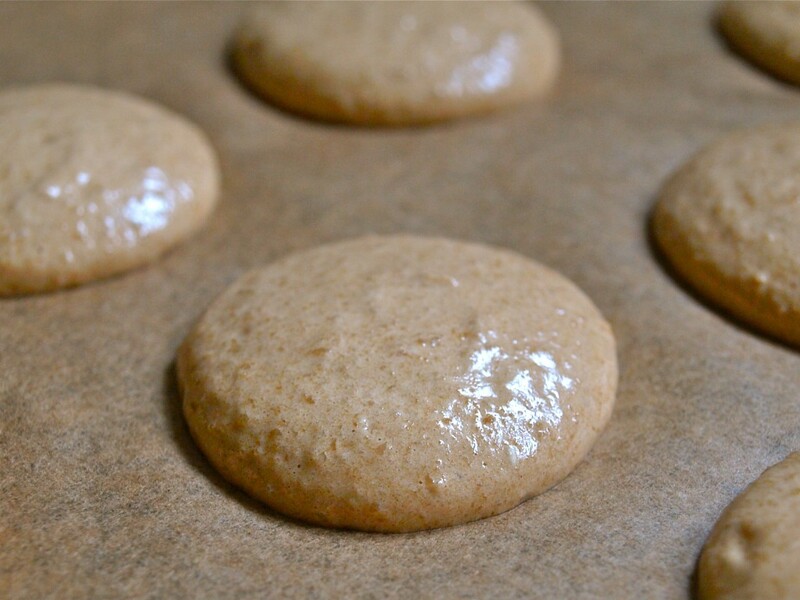 There are many ways to make macarons, and many have written about the tips and techniques of ‘getting it right’. The first time I ever made them was about a year ago when I made lemon macarons with a mascarpone cream filling flavoured with home-made lemon curd. They worked out great – smooth, shiny and with the most perfect little crinkly ‘feet’ hinting at the squidgeyness held within. Since then, however, I have had varying results, but following what I now refer to as my ‘macaron making marathon’ this week, I know more than ever before and am pleased to share my findings with you. For ultra smooth shells, sift together the icing sugar and finely ground almonds well, discarding any larger almond pieces. Don’t overbeat the mixture. About 50 ‘strokes’ should be sufficient to thoroughly combine the mixture to a soft ribbon stage. Makes approximately 16 finished macarons (32 shells). Line two metal trays with baking paper. Wait until you have piped the shells before preheating the oven to 140 degrees Centigrade (130 fan oven). 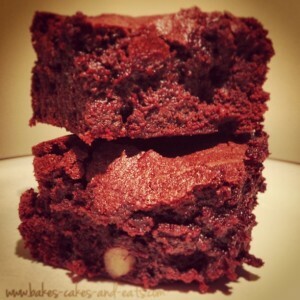 If you have a food processor, blitz together the icing sugar, almonds and instant coffee. (If you don’t, just crush the coffee granules with a pestle & mortar to allow them to dissolve easier.) Sift together, discarding any large pieces of almond left in the sieve. Whisk the egg whites with a pinch of salt until foamy, then keep beating while you add the caster sugar a teaspoon at a time. Continue to whisk until the sugar is dissolved (rub the mixture between two fingers to check there are no grains remaining) and the meringue is thick and glossy. Tip the almond mixture onto the meringue mix and gently fold in using a large metal spoon. Knowing when to stop mixing comes with practice, but like I said earlier, about 50 strokes should do it and if the mixture is thoroughly combined and falls in a ribbon which disappears in about 10 seconds, it should be ready. 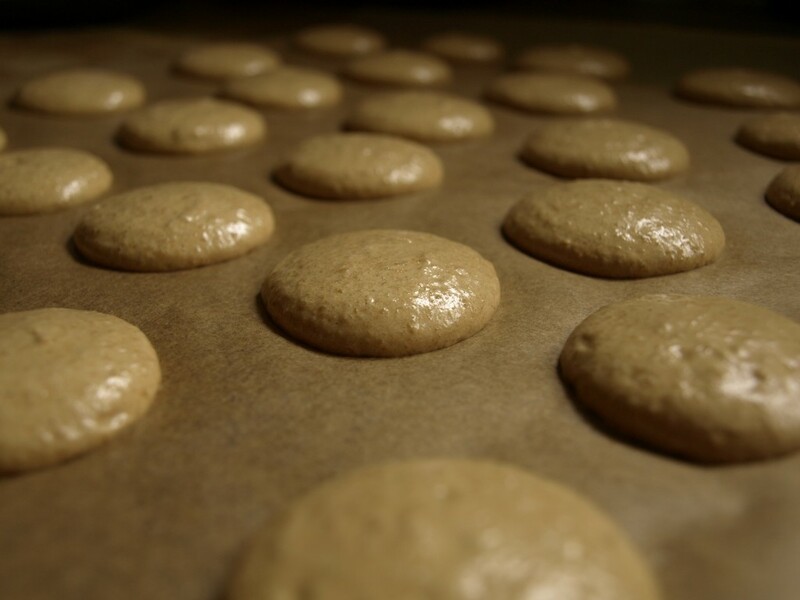 Fill a piping bag fitted with a plain round nozzle with the macaron mixture and pipe 16 cookies (approx 3cm in diameter) onto each baking tray. 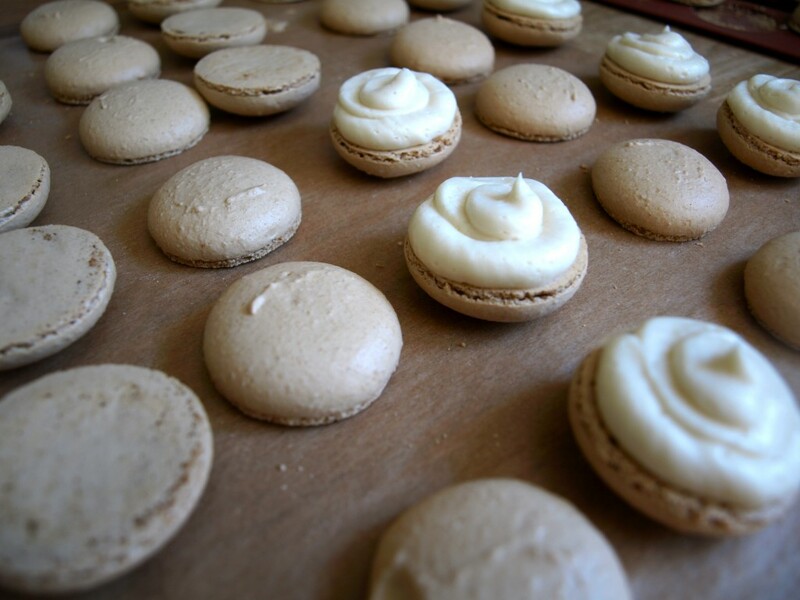 Leave a bit of space between each macaron as they will spread slightly. Leave the trays in a cool, dry place for at least 30 minutes, but up to an hour. Gently touch the side of a shell to check they are touch-dry before baking in a pre-heated oven at 140 degrees Centigrade (130 fan oven) for 10 minutes. Put into a piping bag fitted with a nozzle. Once the macaron shells are completely cool, gently remove from the baking paper and match up pairs of similarly sized macarons. Pipe a small amount of buttercream onto one and sandwich together with another. Edd Kimber uses the Italian meringue method – pouring hot sugar syrup over the egg whites. You need to have a sugar thermomether and there is more washing up, but I always get great results when I follow his macaron recipe – outlined in his first book: The Boy Who Bakes. 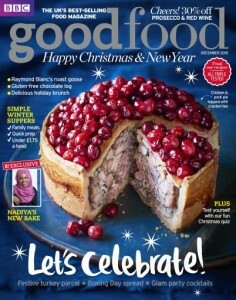 Food Nouveau has a brilliant and very detailed Macaron troubleshooting guide….Happy reading! 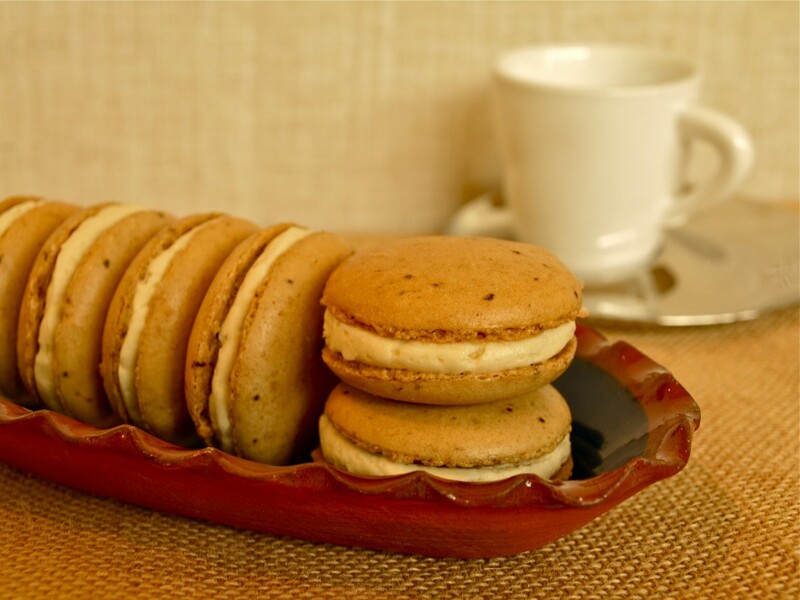 Tartelette has many recipes for macarons including one for carrot cake, (yes, carrot cake!) macarons! 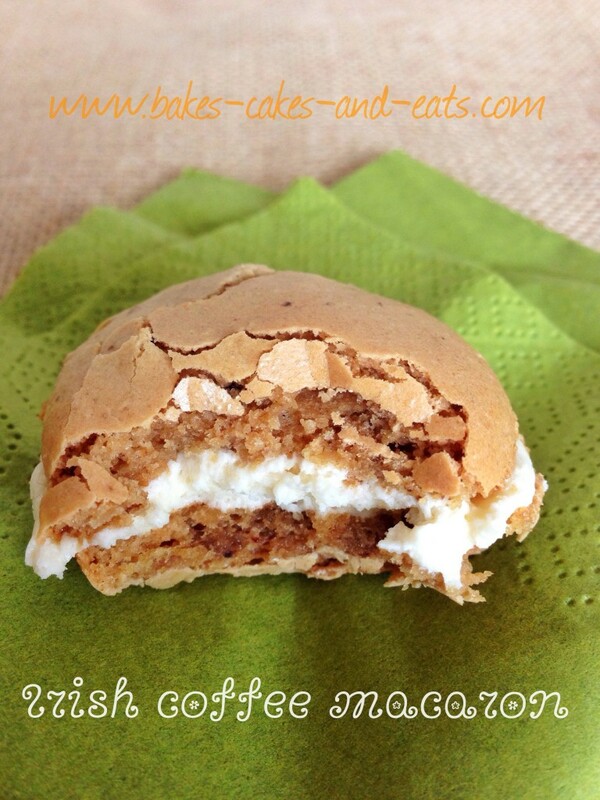 Return to the Dessert Recipe page from my Irish Coffee Macaron Recipe.